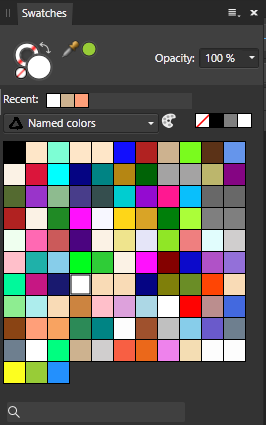 I grabbed a colour chart from the Internet, converted it to vector in CorelDRAW, exported as a WMF, imported into Affinity Designer and from there created this palette. I don't guarantee that all the colours are completely accurate and of course, accuracy in something like this is pretty subjective. Anyway, I hope this is of use to people and enjoy! It may be best viewed as a list in the swatch palette since then you can see the names. I have been including Trainspotting orange in every palette I have created in every program I have used since the film came out! My signature colour! Very good point. I did that.